having strategies and tactics aligned with specifics, and managing your cash flow. But it also saves you from the drawbacks of the traditional formal business plan document, which is obsolete. So it’s easier, faster, and better. Plan with lean bullet point summaries, a few lists and tables, just the essentials that you need to achieve your business goals. For the website only, I’ve added the Why a Lean Business Plan? into this first section (in the book that appears before this section, in the front material). Chapter 1: Lean Business: A general summary of what lean business has meant since about 70 years ago when there was lean manufacturing. It continues through to the present, with lean startups, an important trend. The chapter offers background on what lean means in business, and background on the lean startup movement. Chapter 2: Lean Business Planning: This is my application of the idea of lean to the process of good business planning. The fundamentals of small steps, frequent review, and no waste apply to business planning quite well. This chapter summarizes how lean planning is faster, better, and easier than traditional business planning. 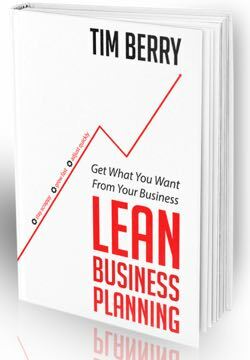 And – more important – how lean business planning is good for any business. Chapter 3: Principles of Lean Business Planning: A review of the five basic principles of lean business planning.